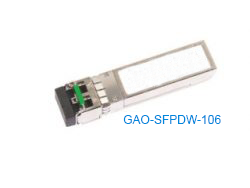 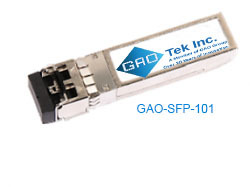 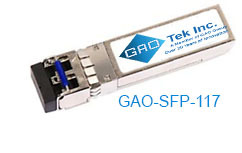 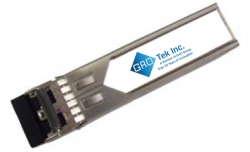 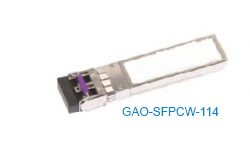 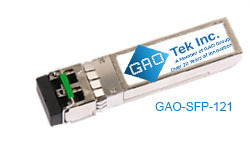 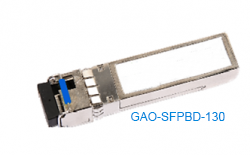 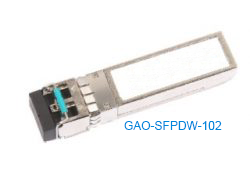 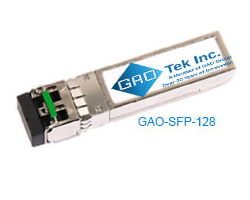 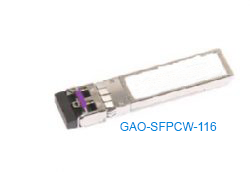 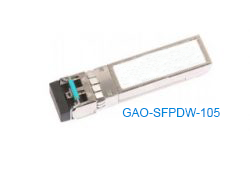 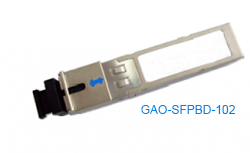 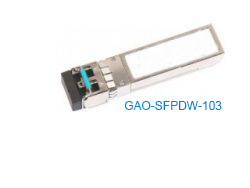 Small Form-Factor Pluggable (SFP) Transceivers - GAOTek Inc.
Small form-factor pluggable, shortened to SFP, is a transceiver type standard for fiber optic connections. 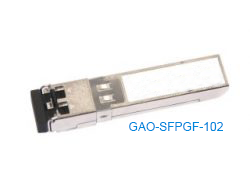 Smaller than its predecessor the GBIC, SFP transceivers can be purchased in different interface types. 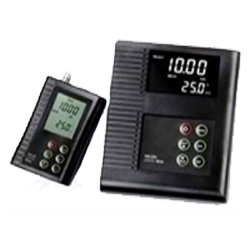 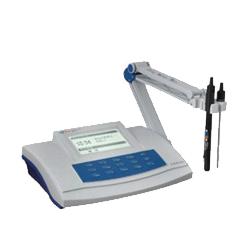 Using these, an administrator can connect a wide variety of fiber cables to a single network device, simplifying operations when there are varied transmission distances and types of connections required. 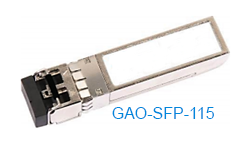 SFP transceivers support single-mode as well as multi-mode fibers, and can be easily inserted or removed at any time during operations without interrupting the network. 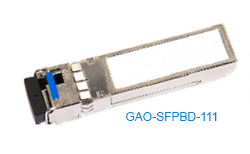 When you purchase an SFP transceiver, you can pair it with SONET/SDH networks, fiber channels, and/or Gigabit Ethernet easily. 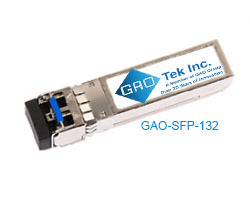 Please note all transceivers in this category comply with SFF 8472 and RoHS standards. 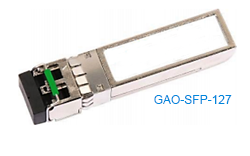 As a flexible solution to your networking requirements, SFP is an ideal standard to stick to if you’re looking to save on space. 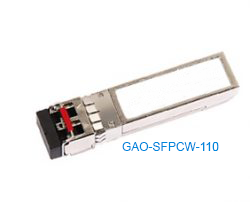 Compact and hot-pluggable, SFP transceivers are used regularly in the telecommunications industry and in data communications application by companies all over the world. 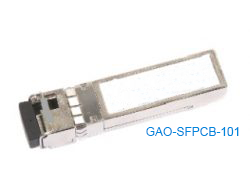 For those debating between SFP and other possible transceiver types, it does bear keeping in mind SFP transceivers are sometimes referred to as mini-GBIC as it carries a lot of the same function except in smaller physical form. 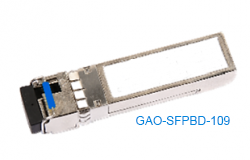 Available across many different specifications, SFP transceivers are generally separated into five different types – SFP, SFP+. 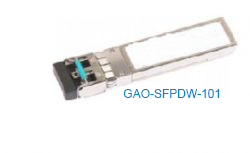 SFP28, cSFP, and SFP-DD. 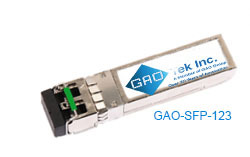 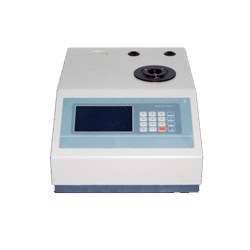 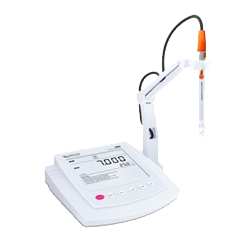 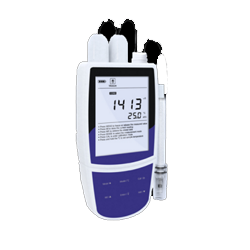 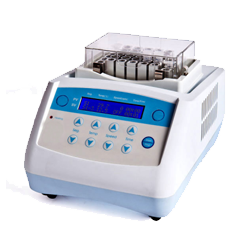 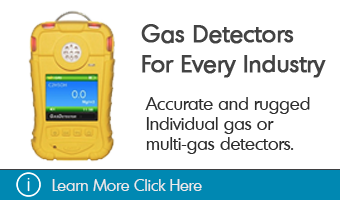 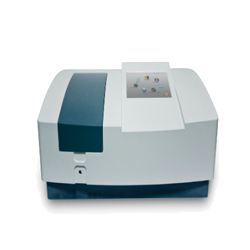 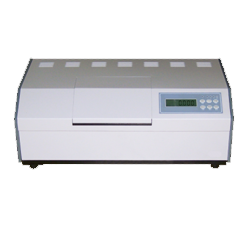 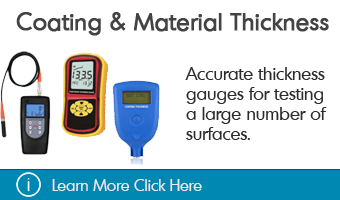 No matter what you need, it is integral to select the transceiver most appropriate to its application. 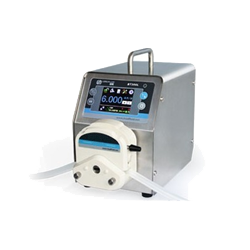 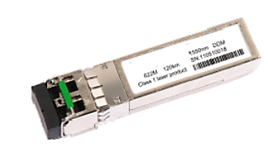 Regarding its optical reach over the available optical fiber type, single-mode fiber or multi-mode fiber may be the recommended choice. 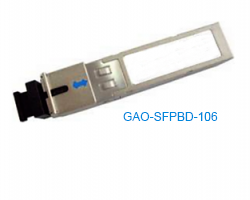 It also warrants verifying an SFP transceiver’s transmission speed, to ensure you get the optimum performance as you expect and require. 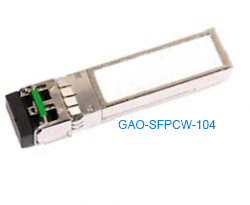 Needless to say, there are few interchangeable, compact media connectors as powerful as SFP. 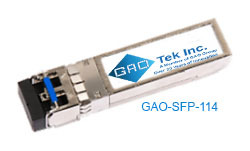 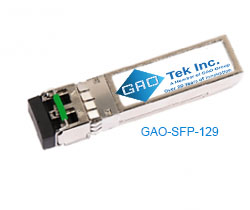 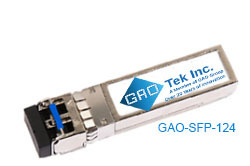 For cost-effective, reliable, and technologically advanced SFP transceivers, shop them all at GAOTek today. 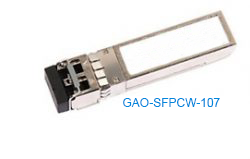 This 1.25Gb/s 1310nm SFP (Small form-factor pluggable) Transceiver is used with Single-mode optical fiber to reach up to 6.21 miles (10km) transmission distance. 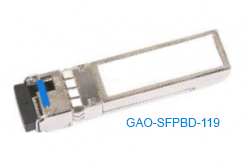 This 1.25Gb/s 1550nm SFP (Small form-factor pluggable) Transceiver is used with Single-mode optical fiber to reach up to 74.56 miles (120km) transmission distance. 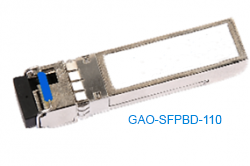 This 1.25Gb/s 1550nm SFP (Small form-factor pluggable Transceiver is used with Single-mode optical fiber to reach up to 99.42 miles (160km) transmission distance. 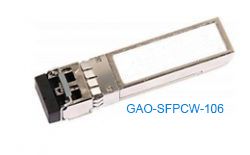 This 1.25Gb/s 1550nm SFP (Small form-factor pluggable) Transceiver is used with Single-mode optical fiber to reach up to 24.85 miles (40km) transmission distance. 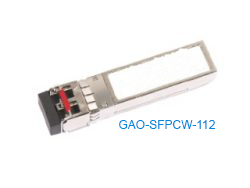 This 1.25Gb/s 1310nm SFP (Small form-factor pluggable) Transceiver is used with Single-mode optical fiber to reach up to 24.85 miles (40km) transmission distance. This 1.25Gb/s 1550nm SFP (Small form-factor pluggable) Transceiver is used with Single-mode optical fiber to reach up to 49.72 miles (80km) transmission distance. This 155Mb/s 1550nm SFP (Small form-factor pluggable) Transceiver is used with Single-mode optical fiber to reach up to 74.56 miles (120km) transmission distance. 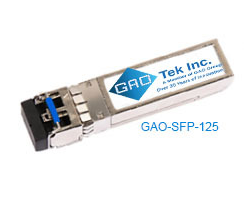 This 155Mb/s 1550nm SFP (Small form-factor pluggable) Transceiver is used with Single-mode optical fiber to reach up to 24.85 miles (40km) transmission distance. This 155Mb/s 1310nm SFP (Small form-factor pluggable) Transceiver is used with Single-mode optical fiber to reach up to 6.21 miles (10km) transmission distance. 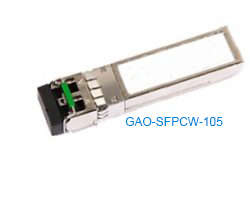 This 155Mb/s 1550nm SFP (Small form-factor pluggable) Transceiver is used with Single-mode optical fiber to reach up to 49.72 miles (80km) transmission distance. This 155Mb/s 850nm SFP (Small form-factor pluggable) Transceiver is used with Multi-mode optical fiber to reach up to 1804.46ft. 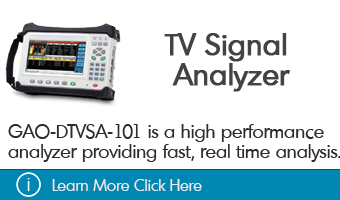 (550m) transmission distance. 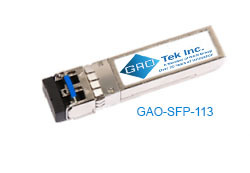 This 155Mb/s 1310nm SFP (Small form-factor pluggable) Transceiver is used with Single-mode optical fiber to reach up to 1.24 miles (≤2km) transmission distance. 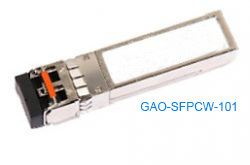 This 2.5Gb/s 1550nm SFP (Small form-factor pluggable) Transceiver is used with Single-mode optical fiber to reach up to 74.56 miles (120km) transmission distance. 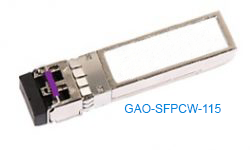 This 2.5Gb/s 1550nm SFP (Small form-factor pluggable) Transceiver is used with Single-mode optical fiber to reach up to 12.43 miles (20km) transmission distance. 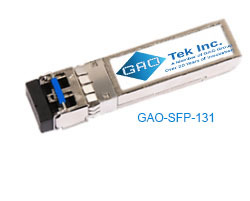 This 2.5Gb/s 1310nm SFP (Small form-factor pluggable) Transceiver is used with Single-mode optical fiber to reach up to 12.43 miles (20km) transmission distance. 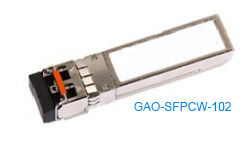 This 2.5Gb/s 1550nm SFP (Small form-factor pluggable) Transceiver is used with Single-mode optical fiber to reach up to 24.85 miles (40km) transmission distance. 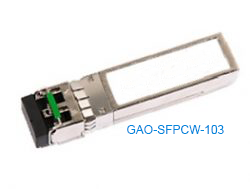 This 2.5Gb/s 1310nm SFP (Small form-factor pluggable) Transceiver is used with Single-mode optical fiber to reach up to 24.85 miles (40km) transmission distance. This 2.5Gb/s 1550nm SFP (Small form-factor pluggable) Transceiver is used with Single-mode optical fiber to reach up to 49.72 miles (80km) transmission distance. This 2.5Gb/s 850nm SFP (Small form-factor pluggable) Transceiver is used with multi-mode optical fiber to reach up to 1.24 miles (≤2km) transmission distance. 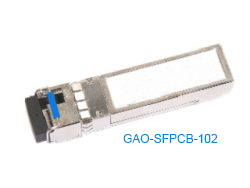 This 2.5Gb/s 1310nm SFP (Small form-factor pluggable) Transceiver is used with Single-mode optical fiber to reach up to 1.24 miles (≤2km) transmission distance. This 3.072Gb/s 1310nm SFP (Small form-factor pluggable) Transceiver is used with Single-mode optical fiber to reach up to 12.43 miles (20km) transmission distance. This 4.25Gb/s 1310nm SFP (Small form-factor pluggable) Transceiver is used with Single-mode optical fiber to reach up to 6.21 miles (10km) transmission distance. This 4.25Gb/s 1310nm SFP (Small form-factor pluggable) Transceiver is used with Single-mode optical fiber to reach up to 3.11 miles (5km) transmission distance. 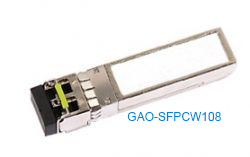 This 4.25Gb/s 850nm SFP (Small form-factor pluggable) Transceiver is used with multi-mode optical fiber to reach up to 1.24 miles (≤2km) transmission distance. 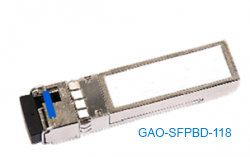 This 622Mb/s 1550nm SFP (Small form-factor pluggable) Transceiver is used with Single-mode optical fiber to reach up to 74.56 miles (120km) transmission distance. 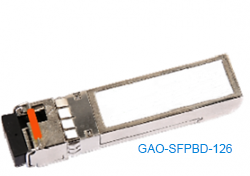 This 622Mb/s 1550nm SFP (Small form-factor pluggable) Transceiver is used with Single-mode optical fiber to reach up to 24.85 miles (40km) transmission distance. 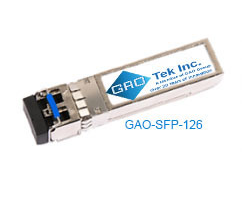 This 622Mb/s 1310nm SFP (Small form-factor pluggable) Transceiver is used with Single-mode optical fiber to reach up to 24.85 miles (40km) transmission distance. 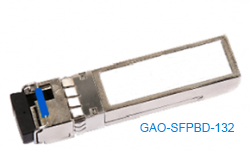 This 622Mb/s 1550nm SFP (Small form-factor pluggable) Transceiver is used with Single-mode optical fiber to reach up to 49.72 miles (80km) transmission distance. This 622Mb/s 850nm SFP (Small form-factor pluggable) Transceiver is used with multi-mode optical fiber to reach up to 1804.46ft. 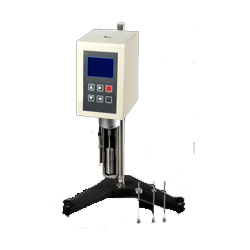 (550m) transmission distance. 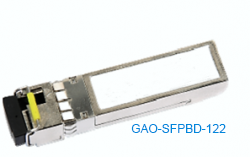 This 622Mb/s 1310nm SFP (Small form-factor pluggable) Transceiver is used with Multi-mode optical fiber to reach up to 1.24 miles (≤2km) transmission distance. 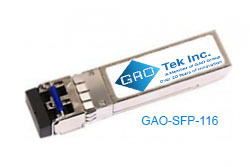 This 622Mb/s 1310nm SFP (Small form-factor pluggable) Transceiver is used with Single-mode optical fiber to reach up to 12.43 miles (20km) transmission distance.